The Shiatsu facial routine is my absolute favourite in terms of blissful relaxation and I have been spreading its many pleasures ever since 1998. There are 18 main Shiatsu points on the face and many Sen lines on the back of the scalp which are addressed. It is often referred to as Facial Reflexology or Facial Acupressure, which sets it aside from the more 'common' oil-based Facial treatment. Shiatsu & Holistic Facial Massage is traditionally done oil-free, but this facial routine lends itself really well for incorporating sensuous essential oil blends or even for a holistic facial mask. 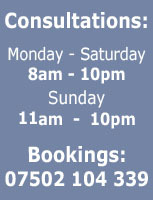 Acupressure is accepted by Westfield Health - please see their TCs. Shiatsu & Holistic facial massage is unlike any other in giving a sense of harmony and true balance. It methodically channels your meridian energy and alleviates any blockages, so you can expect to walk away from the session feeling ‘in tune with the world’. It achieves this by stimulating any blocked and stagnant energy and transforming it into a boost of positive rejuvenation. The Holistic facial massage is especially recommended for the warm summer days, as this oil-free routine promotes a sense of refreshing harmony. Strong clinical evidence suggests that Shiatsu improves sleep in institutionalised elderly and those suffering from insomnia, renal disease symptoms, dementia, stress, anxiety and respiratory conditions. "I have done a number of sessions of reiki and shiatsu with Philip. I feel much calmer and generally have a better type of energy as well. Philip is very professional and he tailors a treatment to your particular needs. All in all I would highly recommend Philip to anyone that I know." "Highly recommend that you seek out Marshall even if you only have a short stay in Cardiff. The way he read my body and informed me of all my bad habits and past injuries were amazing. Without a single word from me, he was able to pick up on a bad car crash 10 years ago, carpal tunnel syndrome and problems with my lymphatic glands. I was only expecting a 'pamper' and relaxing massage - but Marshall was able in one short session to give me such an amazing insight and so many wonderful tips about posture and nutrition - that I have actually returned back twice already (from Birmingham!) and also referred two close friends. Be sure to ask for Philip by name. He has 18 years of expertise especially in Shiatsu and Acupuncture." "Philip creates a peaceful oasis in the centre of Cardiff. He goes out of his way to make you feel comfortable and relaxed from the moment you walk through his door. 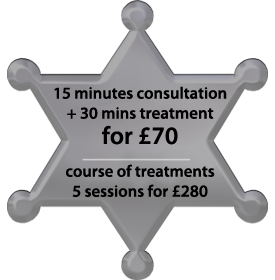 Treatments are fabulous." 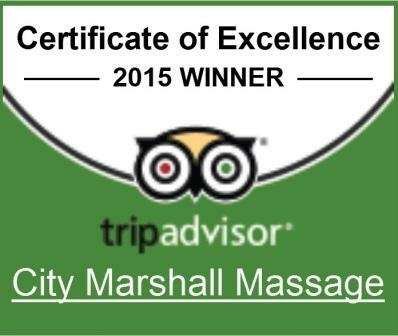 City Marshall is a central Cardiff massage clinic. 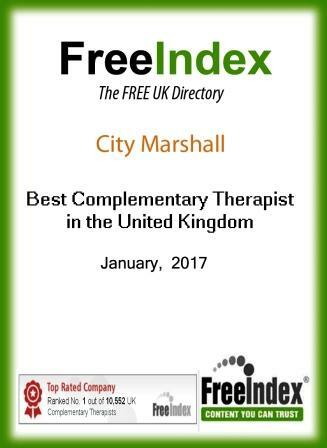 Their chief therapist has lived and worked in Chaing Mai and Hong Kong for many years. It was especially convenient to use their free parking and the 2 hour session was tailor made for my own requirements - with my personalised blend of aromatherapy oils and an addition of Hopi candles and a shiatsu facial. This was an amazingly relaxing routine that I intend to make a monthly ritual. Superb! Lovely Shiatsu facial massage and very relaxing hopi ear treatment. They know how to treat each individul person according to their personal needs and wants. Would deffinitely reccomend and go again! Who can benefit from Shiatsu & Holistic facial massage? Why is Shiatsu & Holistic facial different to an Indian Head Massage? An Indian Head massage treatment is much more energizing and stimulating, with repetitive and intense deep tissue manipulations. Is Shiatsu and Holistic facial different to a Foot Reflexology treatment? Yes. This Shiatsu Facial routine (known also as Facial Reflexology) is done primarily on the face, the scalp and the back of the head. Although it may be done in addition to or complimentary to a standard hand reflexology, it is not usually recommended that a foot reflexology and facial reflexology treatment to be combined in a single session. These two reflexology sessions are very profound in their own right, and you are best advised to combine the facial reflexology / Shiatsu session with Hopi Ear candles or hand reflexology. – carry the feeling home with you in a jar! MEALS: avoid eating a heavy meal within 1 hour of the planned Shiatsu and Holistic facial massage.